Three people who survived a plane crash in Carter County, Tenn., atop Holston Mountain, were rescued on March 19. The plane crash occurred in a remote area around 7:35 p.m., near the Carter and Sullivan County line. The crash involved a Cessna 172 aircraft. The plane was registered to Skypark Inc., a privately owned airport located in northeastern Ohio, south of Cleveland. An investigation into the accident is ongoing. Plane crash victims should always seek an attorney to perform an independent investigation in order to pursue personal injury claims. 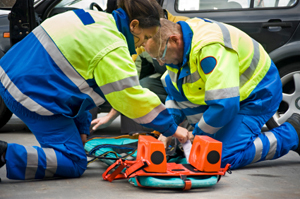 Injuries can include spinal cord injury, traumatic brain injury (TBI) or broken bones. If you have had a family member killed or injured in a plane crash, talk to us by phone at (615) 690-2080 or visit our website to fill out a contact form.